Review: It was only a few short weeks ago that my review for the trailer of The November Man appeared on this website, indicating my cautious optimism that this late summer action flick might be former 007 Pierce Brosnan’s welcome return to his James Bond/Thomas Crown roots. 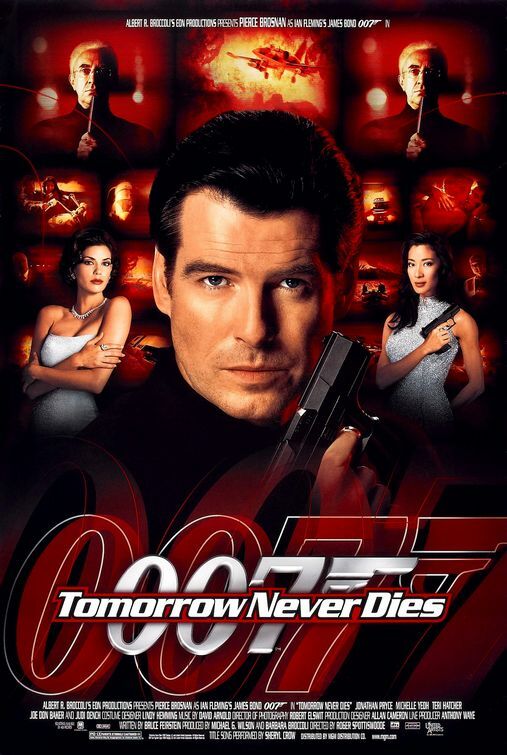 Sadly, it serves only as a reminder that Brosnan’s cooly effortless action hero is a relic of the past, replaced by the aging and overly earnest titular character projected for audiences around the globe to (hopefully) not see. I wasn’t aware of this until after the fact, but The November Man is based on the seventh book in a series of spy novels by the late author Bill Granger. A pet project for Brosnan that finally moved into production after almost a decade of delay, it’s puzzling that the actor would opt to play a character so similar to Bond yet bring to the role none of the efficiency he lent the legendary spy in four films. Instead, Brosnan makes the actors fatal mistake of attacking a deeply flawed character without really giving us a reason to understand why he’s all rough edges and fisticuffs. Surely the script by Michael Finch and Karl Gajdusek (Oblivion) doesn’t seem to mind that it has more plotholes than open road as it bounces from one bland location to another detailing a plot concerning Russian government officials and a possible US cover-up of war crimes. It all feels like, well, a bargain paperback knockoff of a James Bond plot. 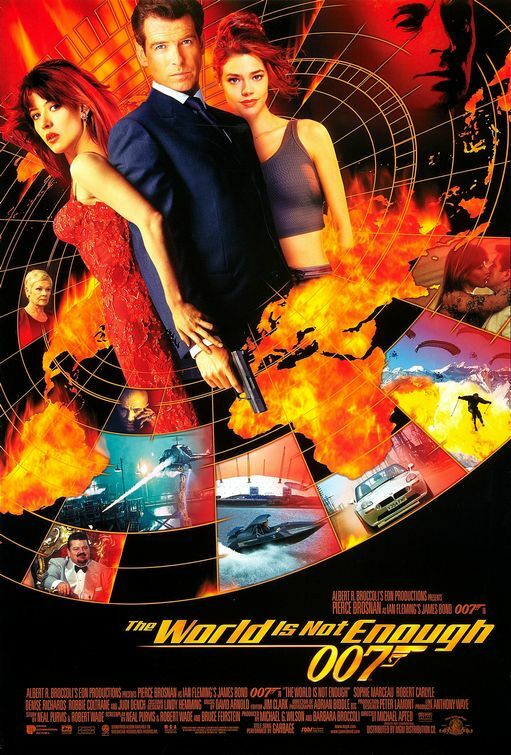 Now I’m not saying the movie doesn’t have some modicum of potential because as an audience member I’ve been craving a tidy action film with political intrigue and near-miss car chases through international locations for some time. 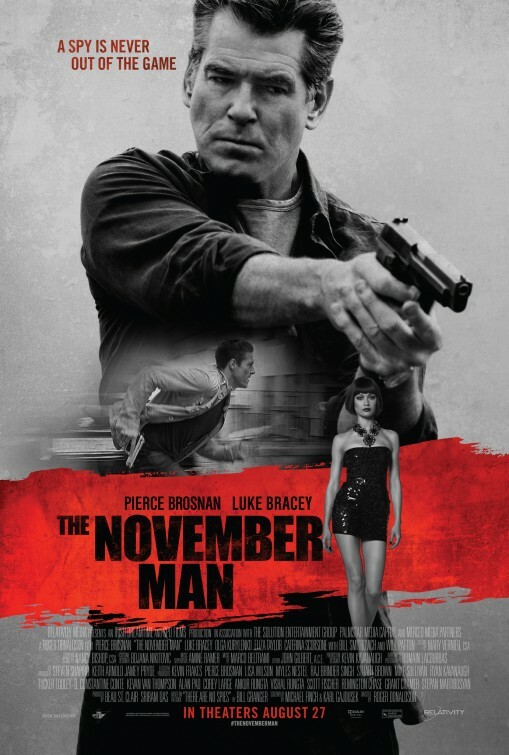 Yet The November Man’s execution is so unruly and unpleasant that it feels like a chore to sit through before you’ve had a chance to get to the bottom of your popcorn. As sexist as the James Bond franchise has been criticized for being, it pales in comparison to the icky abject misogyny on display here. Women are treated as mere objects and I think at one point every woman with a speaking line is dragged by her arm around a locale by a gruff man that calls her a word unprintable in full but begins with t and ends with wat. As brutal as the violence is in the film (and with gunshots to the head and knife wounds galore the film is bloodier than necessary) it’s no match for the distasteful chauvinism on display. If I’m being honest, I’ve never found Brosnan to be that impressive of an actor. 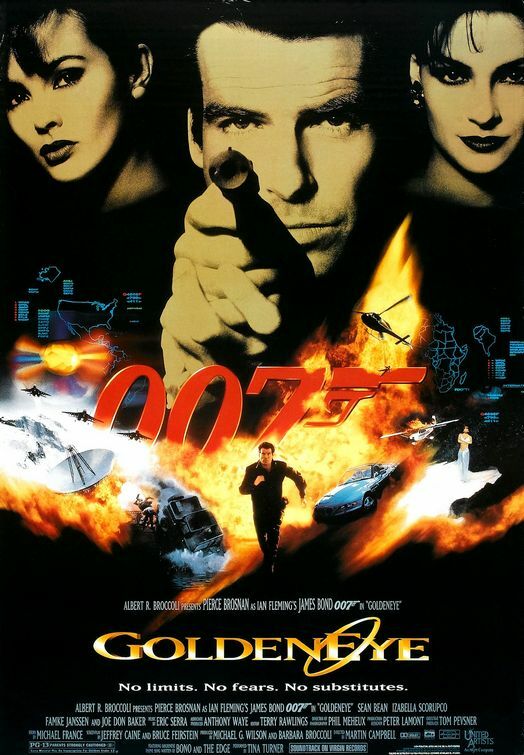 Though he filled the James Bond suit nicely (in GoldenEye, Tomorrow Never Dies, The World is Not Enough, Die Another Day), Brosnan’s Bond wears thin on repeat viewings and the actor hasn’t found much success in his non-Bond endeavors. I can see why tackling a character slightly to the left of Bond would be appealing but Brosnan’s teeth gnashing solemnity comes across as more him spoofing his spy thriller past than cutting new ground. With his Sean Bean looks and Keanu Reeves acting chops, Luke Bracey makes for a lackluster adversary with the young actor unable to make even the simplest of dialogue seem convincing. He looks too young to be a junior colleague of Brosnan’s well-worn spy and wearing an alarming amount of eyeliner he comes across as an indie-rocker more than the CIA killer he’s supposed to be playing. An unfortunate subplot involving Brosnan and Bracey locking horns over items in their personal life adds fifteen minutes, one cat, and two extraneous characters to the proceedings. I’m going to assume supporting players Bill Smitrovich and Will Patton got together and decided to pull one over on the hair team by asking that they switch hairstyles. Smitrovich’s curly pate is swapped for Patton’s bald chrome dome…and that’s the only good idea either actor brings as both grow fatter as the film drones on from chewing the scenery. Smitrovich in particular should be absolutely ashamed of himself…as should director Roger Donaldson for casting him. If there’s one bright spot to the movie, it’s certainly Olga Kurylenko (Quantum of Solace) as a woman in need of saving by Brosnan’s off the grid spy. Though the role is painfully lacking any sort of feminist assuredness, Kurylenko at least makes the wounded bird she’s playing somewhat sympathetic. Chased by a female assassin (who looks like she was plucked from playing the lead role in a Moscow production of Funny Girl), Kurylenko gets the one true pleasing moment of the film as she brings one character to a nice dénouement. 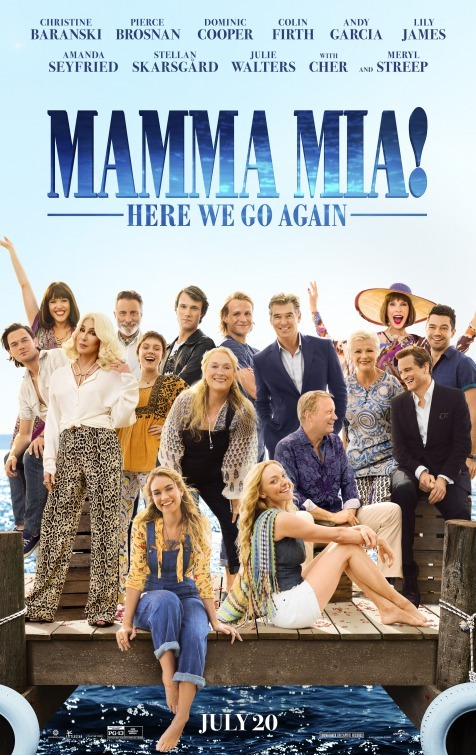 Still, the film simply cannot overcome its wet noodle leads and a series of plot contrivances so ludicrous that I briefly considered breaking my spoiler-free rule and analyzing them further here. Yet that would give the film more time than it’s worth because The November Man will be in the discount bin at WalMart before November 2014 is over. Thoughts: Though he’s now three films removed from the James Bond series and a sequel to the remake of The Thomas Crown Affair is stalled in development hell, Pierce Brosnan is back on the big screen in full action hero mode with The November Man. 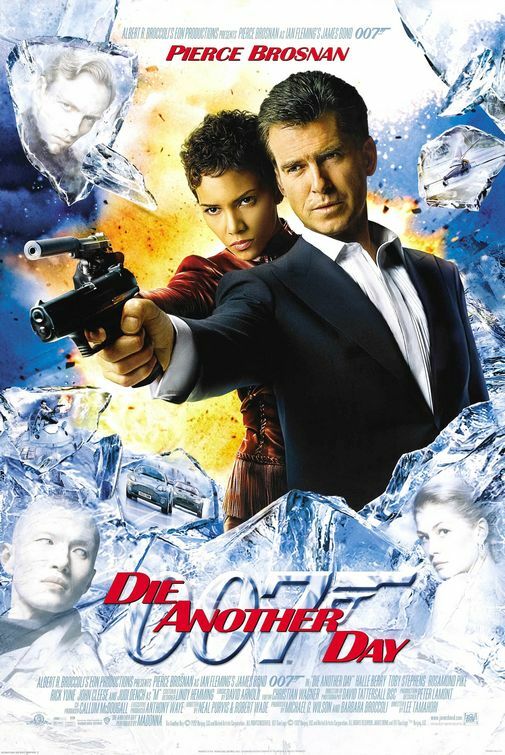 Looking like a nice mix between his 007 days and a Mr. Crown adventure, I’m disappointed that the slick but lengthy trailer seems so full of spoilers but am willing to reserve judgment on the overall experience based on Brosnan’s track record. Reteaming with his Dante’s Peak director Roger Donaldson (Cocktail), and joined by former Bond babe Olga Kurylenko (Quantum of Solace) and newcomer Luke Bracey, we won’t have to wait until November to see if Brosnan’s still got what it takes. 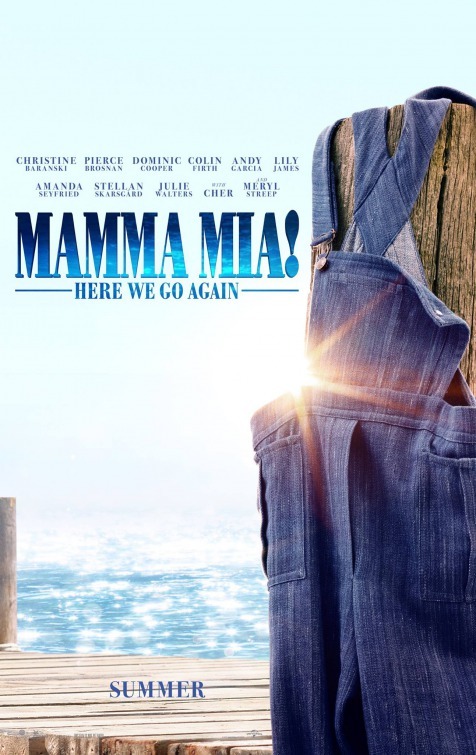 Synopsis: A hairdresser who has lost her hair to cancer finds out her husband is having an affair, travels to Italy for her daughter’s wedding and meets a widower who still blames the world for the loss of his wife. 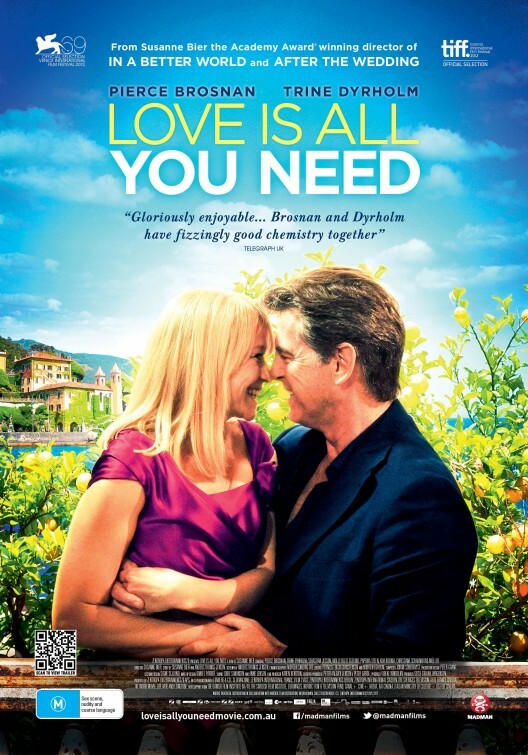 Thoughts: Danish director Susanne Bier has already worked in the US on several projects and her latest film, Love is All You Need looks to be an interesting blend of romantic comedy between two people that hate each other and a “stranger in a strange land” drama. Pierce Brosnan and Trine Dyrholm are our leads, starring as parents meeting for the first time as they travel to Italy for the wedding of their offspring. Even though the set-up sounds familiar, here’s hoping that Bier’s usually gentle touch is used to its full advantage. The sights looks gorgeous and I’m already intrigued by the stars – let’s see if it all adds up to a trip worth taking.